Art of Weird Pro 2.12.1 – All-in-one art tool kit. 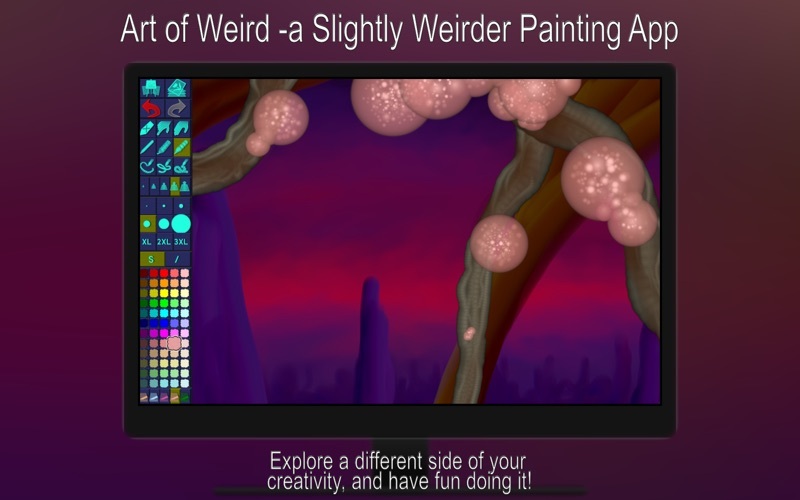 Art of Weird Pro is an art app with everything from standard painting tools to the truly weird and bizarre, such as Worm Pen, Candy Brush, 3D-Shaded Brush, Ball Brush, and Pods. You will explore a different side of your artistic creativity, and have fun doing it! We have put years of research and hard work into making our own painting engine from scratch, and we continuously work to improve it. The engine uses 128-bit color and it always utilizes floating-point arithmetic for increased accuracy and a high dynamic color range. Pinch (trackpad) or use keyboard shortcuts to zoom in/out. To pan, drag with two fingers (trackpad) or use arrow keys. Double tap with two fingers (trackpad) or press Space to reset the zoom/pan. In addition, you can press the Tab key to hide the toolbar or Shift-Tab to move it to the other side. [Bug Fix] Some common actions, such as adding a new layer, or changing the background color, could cause the app to crash. Next story Beyond Compare 4.2.3 – Visually compare and merge files and folders. Previous story UltData 7.6.0.0 – Ultimate Solution to Recover All Lost Data on iPhone. Greeting Card Shop 1.0.7 – Create cards for life’s special moments. StitchBuddy 2.9.3 – Machine embroidery with your Mac.